The Karmon Warrior Vest is designed to fit the IDFs Hashmonai ballistic plates. Used by regular combat troops and Special Forces operators, our vest has proven itself to be extremely reliable and comfortable in the field. 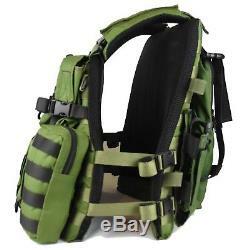 Due to the use of MOLLE, youre able to set up the vest how you want to. The Karmom Warrior Vest comes with the assault pack and pouches featured in the pictures, as well as a pouch for your hydration bladder. Best Karmom vest for the IDF on the market hands down. 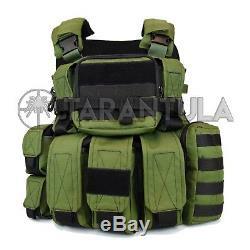 (1) front and back molle vest. (1) magazine pouch with velcro mark (for 2 magazines). (1) magazine pouch with double stick light place (for 2 magazines). (1) magazine pouch with general size pouch (for 2 magazines). (2) grenade pouch / personal bandage. (1) night vision device rubber. (1) H Rubber for helmet. 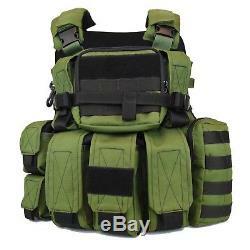 The item "TACTICAL KERAMON MOLLE VEST IDF MILITARY FULL PACKAGE" is in sale since Tuesday, May 29, 2018. 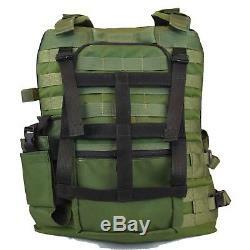 This item is in the category "Collectibles\Militaria\Current Militaria (2001-Now)\Original Items\Personal, Field Gear\Other Current Field Gear". The seller is "rantarantula554233" and is located in Tel Aviv.